Personalised medicine is aimed for the treatment of patients with all kind of diseases. The term is broad and refers to numerous approaches to improve the effect of therapy for the individual patient. Instead of applying a standard of care approach with the best average result for all patients with the same disease. We asked Willemijn Vader, Managing Director of VitroScan, about her expertise on personalised medicine in relation to oncology. VitroScan uses a technology platform to develop predictive diagnostics for cancer patients. In addition, with regard to the increasing number of effective drugs that will become available for patients over the next years, it is important to be able to optimise selection of drugs per patient. New drugs will enter the market in parallel, and are often tested against one ‘golden standard’ drug combination. ‘’This makes it difficult to compare the value of the ‘old’ and ‘new’ drugs.’’ Developing predictive tests will be an important factor to improve treatment results using all treatment options that are available. 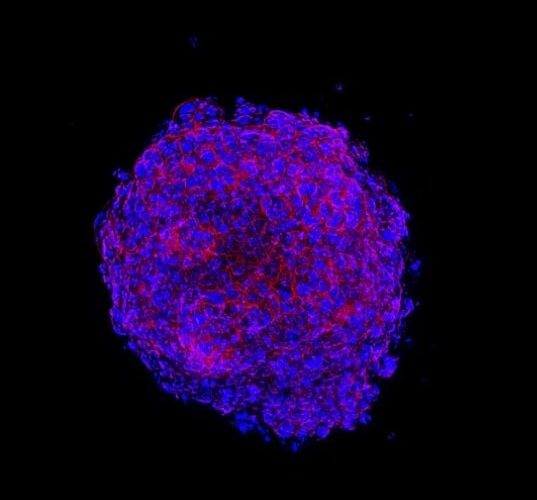 VitroScan tests available drugs on 3D tumour cultures from cancer patients before the treatment is started. ‘’We take the cells from the tumour and put on the drugs to see if the tumour is sensitive. By using our automated high content imaging platform, we can test many drugs simultaneously and analyse the effect of the drugs in depth.’’ We are currently performing studies in collaboration with Dutch hospitals to prove that we can predict the effect of the drug for the patient that we test. The challenges for VitroScan include the coordination of ongoing trials which cost a lot of time and effort. Although the engagement of the clinical partners is remarkable, resulting in great collaborations! In addition, the route to implement innovative diagnostics in the regular hospital care with regard to validation and integration in the health care system is not very well established. ‘’Diagnostics are going to be crucial to improve the treatment of cancer patients.’’ There are many companies and researchers working on various approaches to get there, but Willemijn believes that the ’competition’ is beneficial and move the field ahead. Get in touch with VitroScan if you believe you could be their next partner or employee via info@vitroscan.nl or +31 71 3322 870.